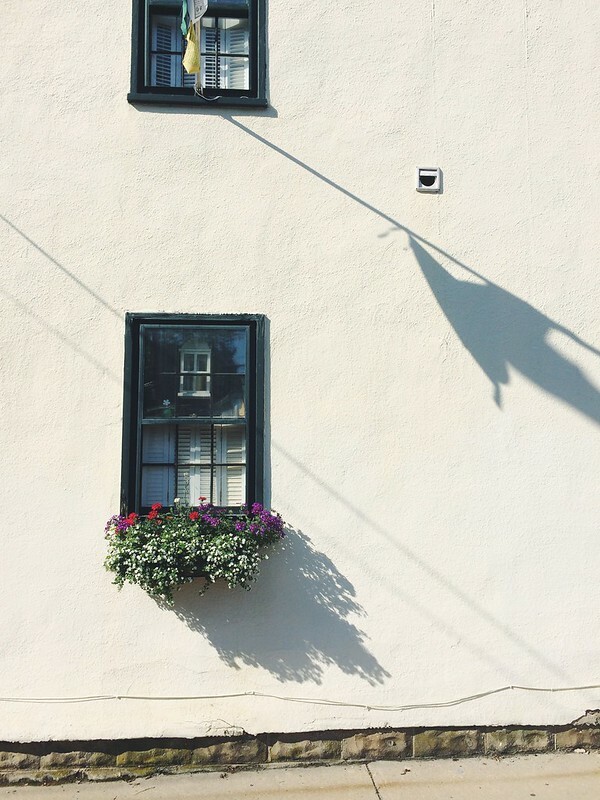 A perfect moment while exploring downtown Annapolis on Sunday morning. Hope you all had a great weekend! I can honestly say that ours was jam-packed with fun activities just taking advantage of our town. 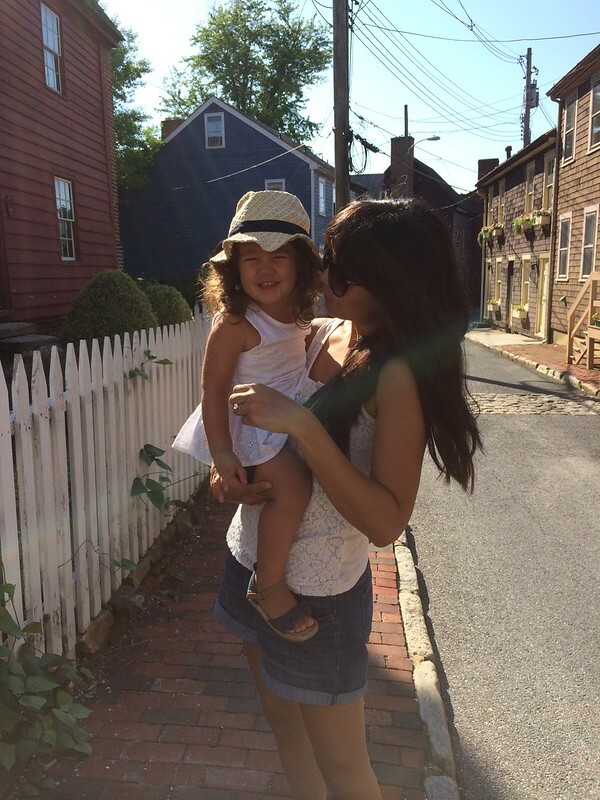 After we came back from our Lewes beach vacation, I told myself that we really need to do more in our hometown because it is, after all, a vacation spot for a lot of people and we should treat it as such on occasion. And that's exactly what we did the entire weekend. We were able to hit up the farmer's market real early Saturday morning, then head to Quiet Waters Park to enjoy the giant playground, and then relax at home for a little bit before dinner with my mother-in-law. Then on Sunday we got up early again to grab some yummy treats at Bakers & Co and Sofi's Crepes to eat breakfast by the water, downtown. 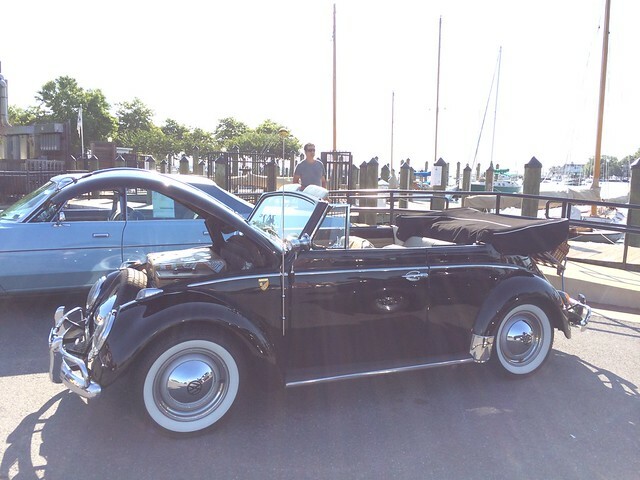 To our surprise (and somehow we always forget this), there was a little car show going on right by the water. 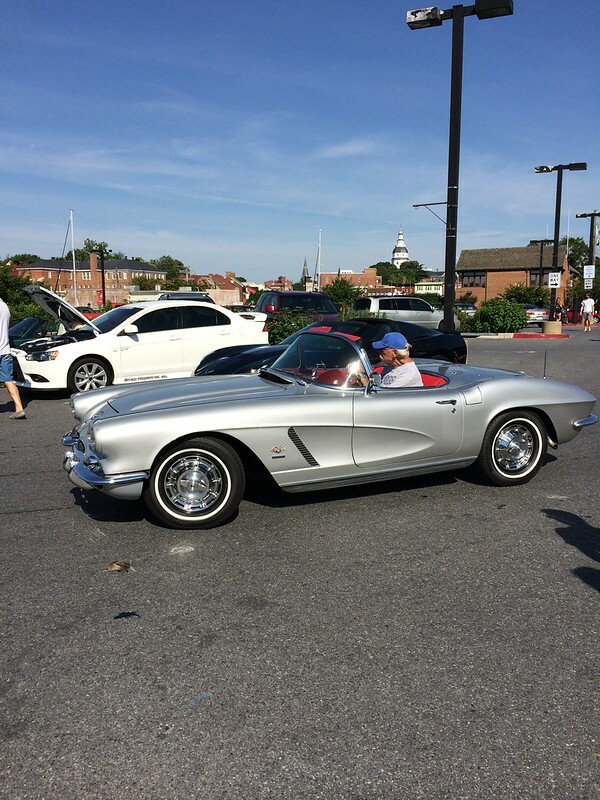 So we got to enjoy some really cool cars (vintage & new) while breakfasting. 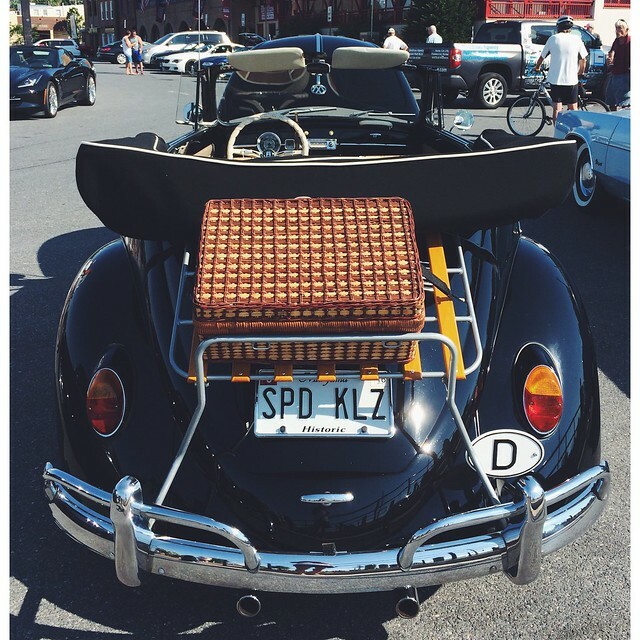 A personal favorite of mine was this chic VW Beetle outfitted with a picnic basket on the back. It even had a black soft top with white piping which really won me over. Anything with piping is très chic in my book, and well, black and white is simply perfection. Speaking of black & white with piping, I've got plans for that combo in Cora's playroom, but more on that later! Hope you all have a great start to this week! 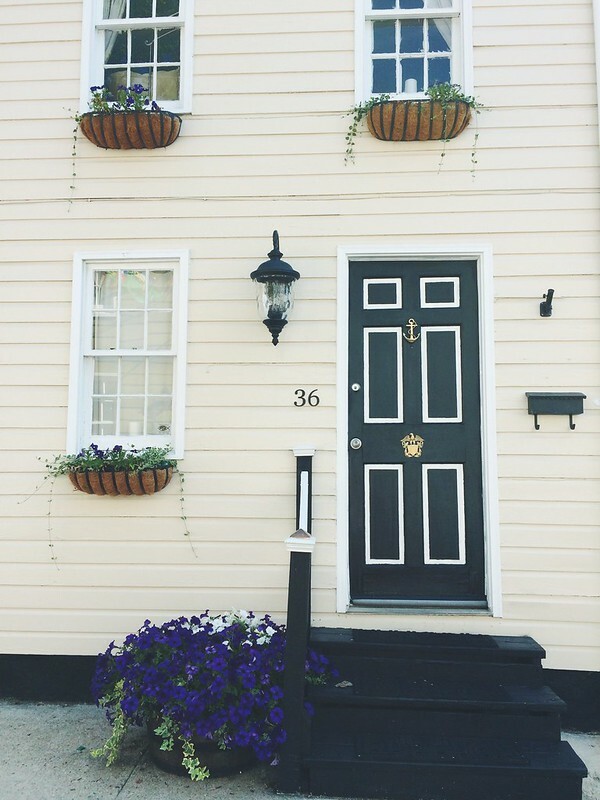 Totally crushing on the black and white detail of this front door. This is exactly the kind of car I want to be cruising around on the weekends. Picnic basket and all! This Corvette rolled up right when we were leaving and it was just too beautiful not to take a photo. Me and the mini-me. Steve told her to smile and this is what she did. 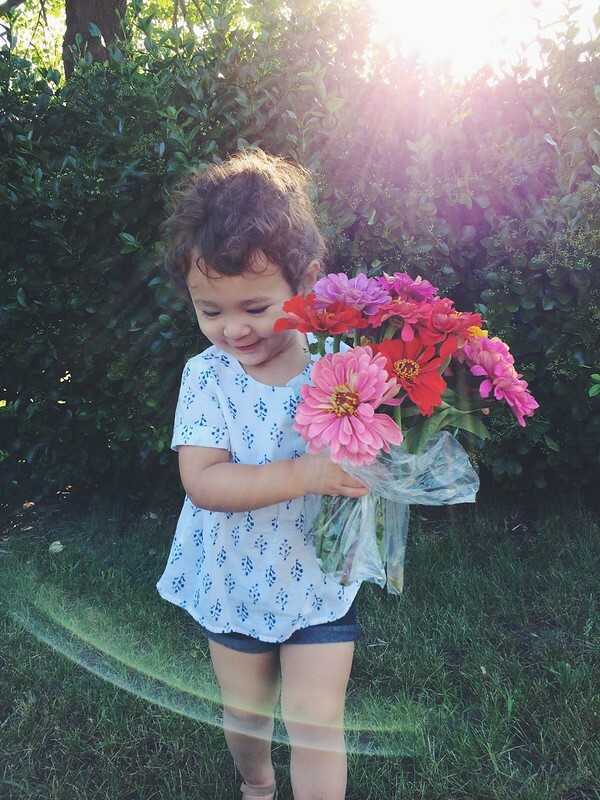 She loved that bouquet so much, all she wanted to do was hold it. 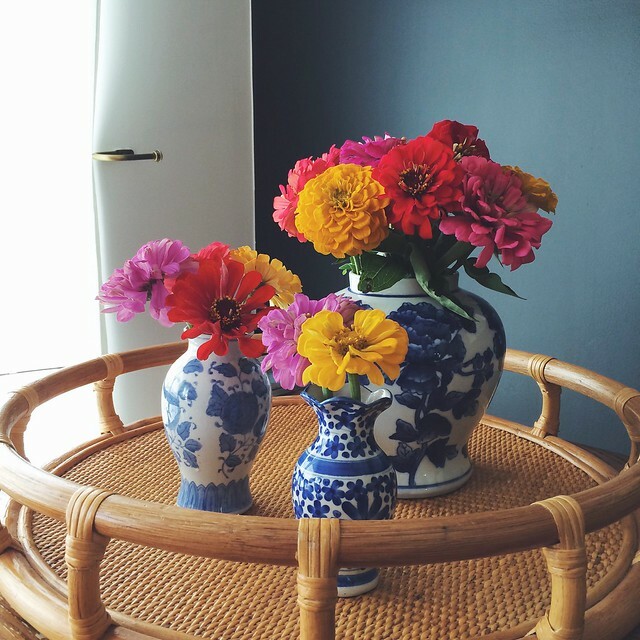 I was able to get 4 floral arrangements (the 4th one is in the powder room and I totally forgot about it when I was Instagramming this) out of that $5 bouquet I got at the farmer's market. More reason to go to the farmers market every week. Can't get anything past this one. 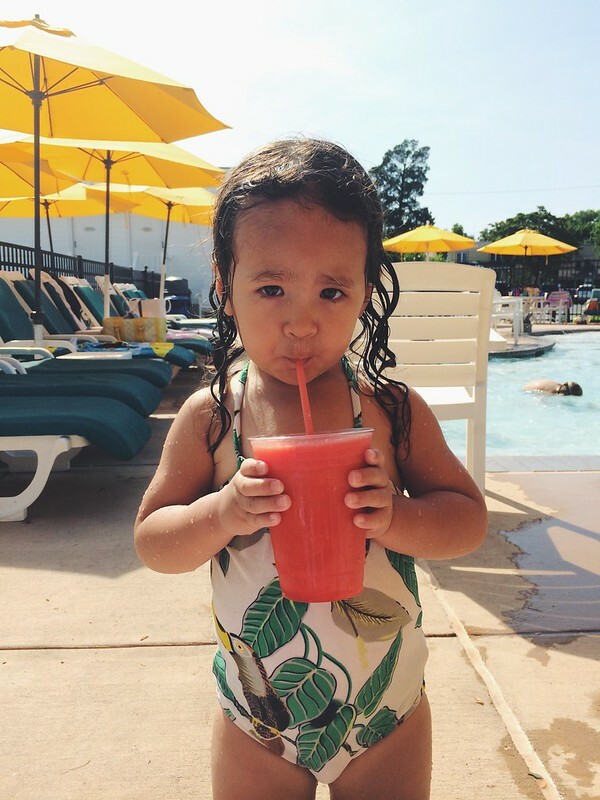 The minute she saw my [virgin] daiquiri, she wouldn't let me get a sip in. Celebrated my youngest brother's birthday with some family time at my parents' house. 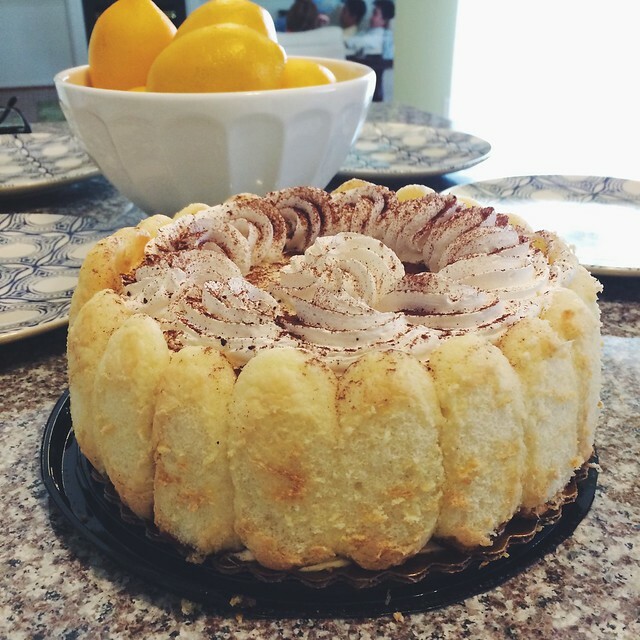 This tiramisu cake was the perfect way to end all of the fun we had this weekend. mmmmm Sofi's Crepes. I ran by their Severna Park location, literally, and the thought of crepes was just the energy I needed to finish the last few miles of my run!